Select the color for you. 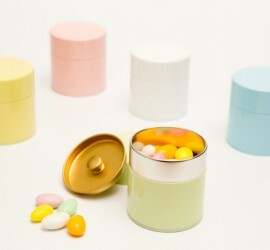 Nuri-Muji Color tea tin canisters lacquer coated by hand, available in many colors and sizes. The Nuri-Muji Color Tea Tin Canister is lacquer coated by hand and can be customized with the color of your choice. Original designs can be printed on with silk screen printing as well.